The protection and preservation of California's natural resources and its environment is our great concern. Members are involved in activities which promote recycling, energy awareness and water conservation. The coast is clean with help from the Native Daughters of the Golden West. A grove of Redwoods in Humboldt State Park stands tall and poppies bloom at the Antelope Valley Poppy Preserve due to the generosity of our members. 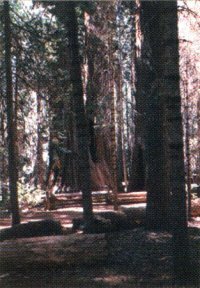 The Native Daughters of the Golden West participate in the Cleveland National Forest "Penny Pines" program.